For whatever reason, Ford has always been stingy with the modern Mustang platform. Its almost always exclusively been the sole vehicle that used its platform. Back in the late 900's-early to mid 00's, the 2005 redesign was supposed to see the Mustang move to a variant of the DEW 98 (Lincoln LS, Jaguar S-Type and XF, Thunderbird), but they redesigned it and it became the Mustang specific D2C platform, that was used right up until the current S550 platformed Mustang. If Ford would share the Mustang platform with Lincoln it would do wonders. They could lengthen it and make it a sports sedan, a proper new age LS. 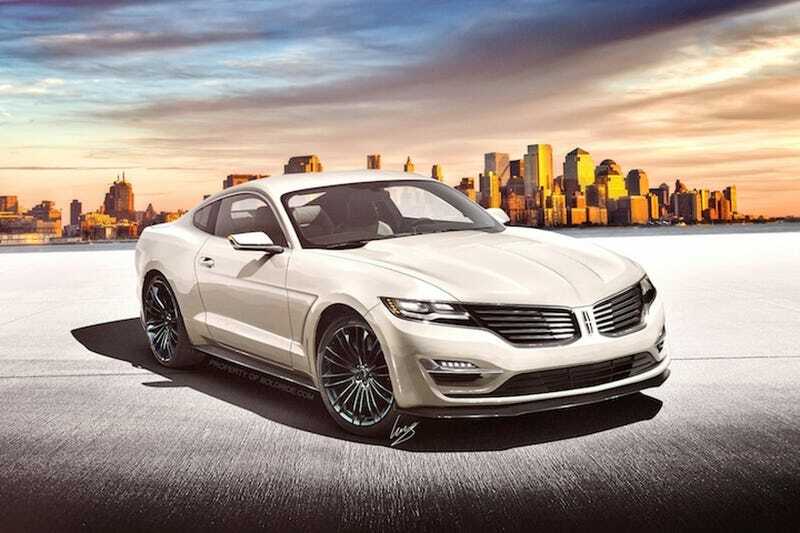 Or they could give us what a lot of us have been asking for for a long time: a Lincoln sports coupe. I dont know if this has been covered on here before, but the image you see above I found on a site called Motor1.com through a Facebook page of drawn up concept cars called Hansen Art. I have to say, this thing is a looker if it were to be real. They could easily do this and it probably would sell. It could be a BMW 4 Series competitor. Give it a base Ecoboost V6 and an optional, top line Black Label performance trim with the 3.5 Twin Turbo V6 and 10 speed auto from the Navigator and call it a day. I don’t think it should get the 5.0 though. That should stay with the Mustang. If they put enough know how into it to differentiate it from the Mustang and make it uniquely Lincoln, it could put Cadillac and other luxury marques on notice. What do you guys think?